Misogyny and rampant corruption are inextricably intertwined with the existence of the regime ruling Iran, victimizing women and girl children more than any other sector of Iranian society. 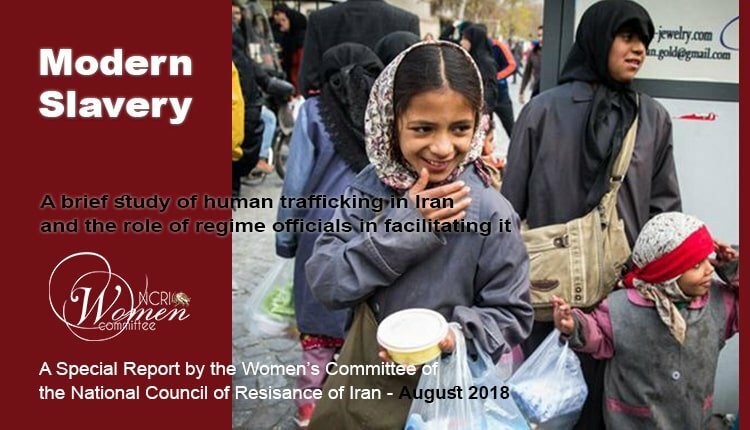 One of the most tragic aspects of such gender discrimination and exploitation in Iran is the sprawling business of trafficking of young women and girls for modern slavery. Trafficking of young women and girls from Iran for modern slavery, particularly to Arab countries of the Persian Gulf, is a common practice. This was publicly acknowledged in 2008 by Hassan Abbassi, one of the clerical regime’s main theoreticians. Abbassi slammed the incumbent President Mohammad Khatami, the incumbent Minister of Intelligence Ali Younessi, the State Exigency Council, the IRGC (Revolutionary Guard Corps), the Bassij, the incumbent Chief Justice Mahmoud Hashemi Shahroudi, as well as Mohammad Baqer Qalibaf, the incumbent commander of the State Security Force who is presently the Mayor of Tehran, for being irresponsible in not attending to the catastrophic trafficking of young Iranian women and girls in Arab countries and taking no action to stop this modern slavery. Obviously, there is a maximum lack of transparency on the part of the mullahs’ fundamentalist regime, particularly when it comes to the violations of women’s rights and issues such as modern slavery. The limited information available on this issue bespeaks of a catastrophe of colossal dimensions.